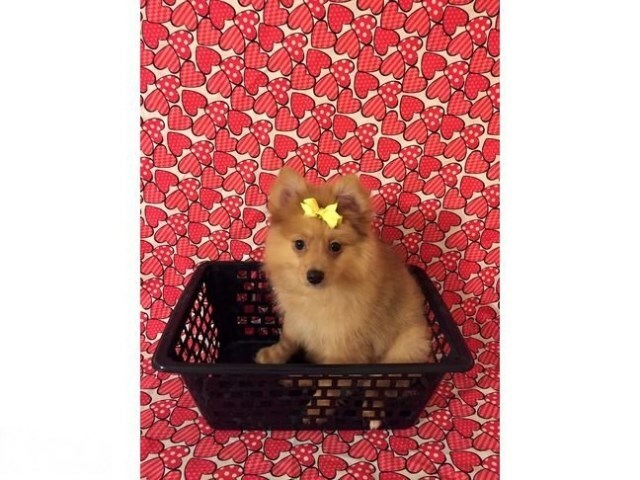 Caramel is a CKC registered female Pomeranian puppy for sale. She is a red Merle color. She has a blue eye and her other eye is a different color. Merle bloodlines. 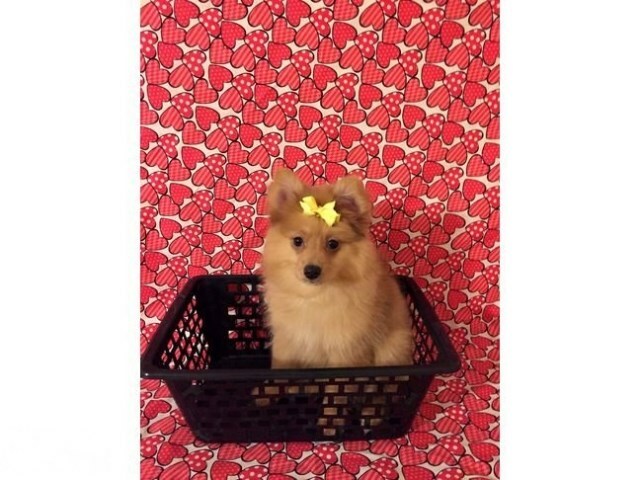 Her mother is a black Pomeranian and her father is a Blue Merle Pomeranian. She is ready for pick up. She will come with all the shots and worming up to date, and with one year health guarantee. Good with kids, friendly, healthy, fluffy and playful. Raised in a clean loving environment with kids. Price on her is $900. Taking a non refundable deposit of $200 to hold the puppy. The deposit to reserve the puppy can be accepted via PayPal. 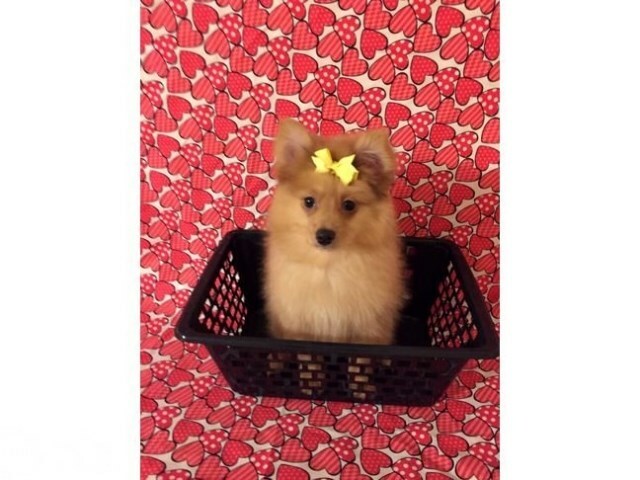 Shipping is available at $350 additional to the price of the puppy (that includes airport ticket, transportation to the airport, travel kennel, and a certificate of health from a vet). We are located in Clarksville,TN. Call or text at 931-896-6459.